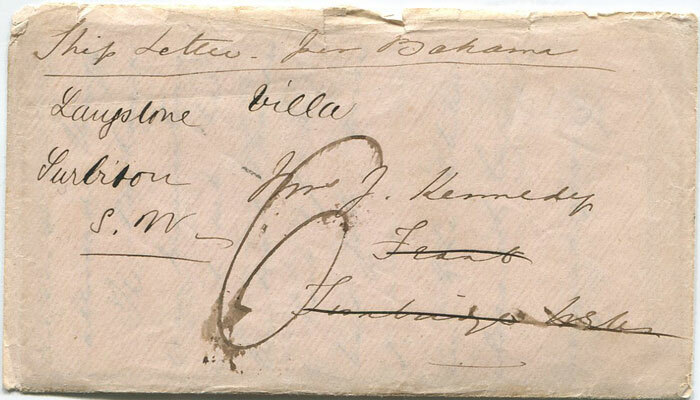 endorsed, Ship Letter per Bahama and rated 6d. 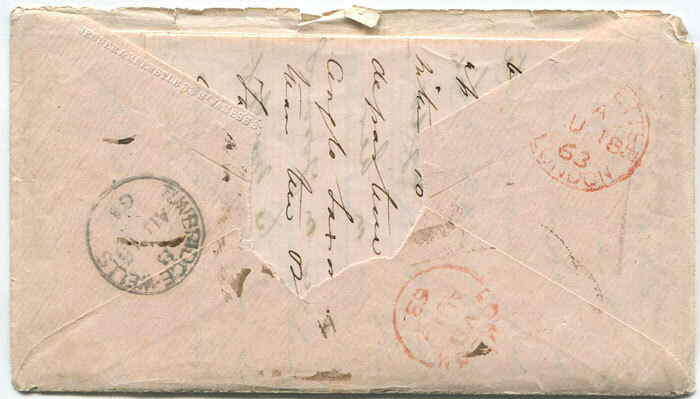 SHIP LETTER LONDON cds in red on reverse. Rear flap missing. 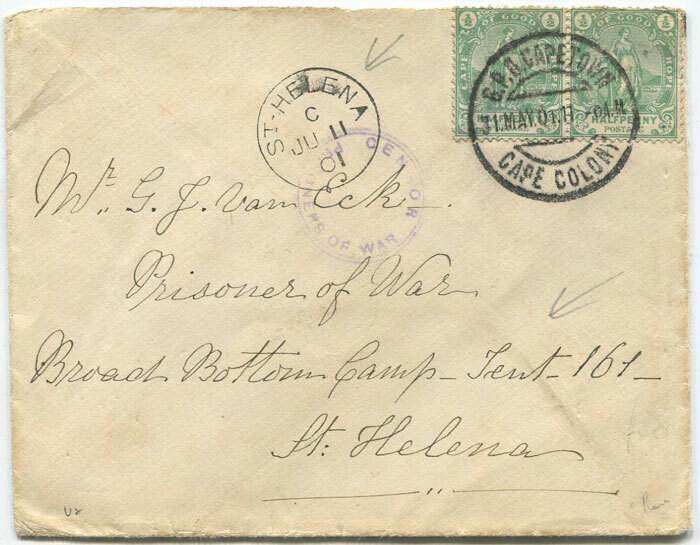 with ST HELENA cds also small circular CENSOR PRISONERS OF WAR h/s. DODD Leonard J. 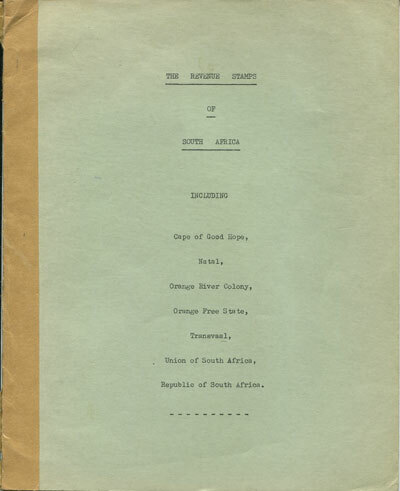 The Revenue Stamps of South Africa including Cape of Good Hope, Natal, Orange River Colony, Orange Free State, Transvaal, Union of South Africa, Republic of South Africa. C.E. Sherwood 1967 iii + 23 pp. 1st ed., clean in green card covers. ARCHER J. Africa. 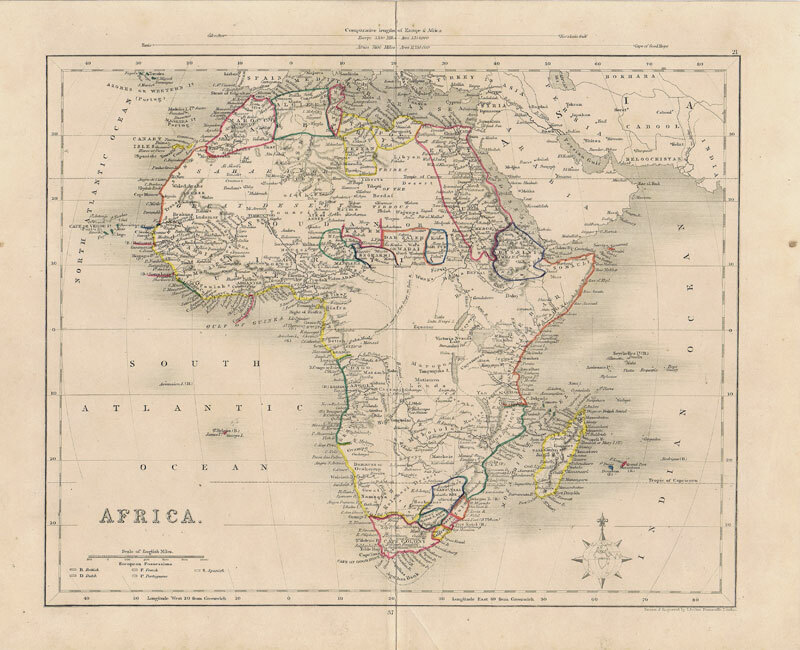 College Atlas, London 1862 (circa) Folding engraved map with outline colour, in fine condition. 13 x 10"
NOBLE John Official Handbook. 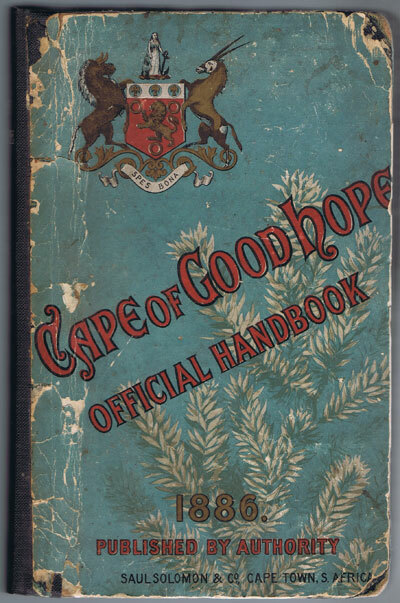 History, Productions, and Resources of the Cape of Good Hope. Cape Town 1886  + folding map + 328pp + adverts. + folding coloured plates and tables. Clean in original pictorial boards with new cloth spine.